“Wisdom teeth” are your third molars. They are the last teeth to erupt within the mouth. When they align properly and gum tissue is healthy, wisdom teeth do not have to be removed. Unfortunately, this does not generally happen. The extraction of wisdom teeth is necessary when they are prevented from properly erupting within the mouth. They may grow sideways, partially emerge from the gum, and even remain trapped beneath the gum and bone. Impacted teeth can take many positions in the bone as they attempt to find a pathway that will allow them to successfully erupt. Many San Francisco patients come to us direct from referrals for wisdom teeth extraction, or because they read our reviews on the Internet. Others, however, comes to us because they want a second, professional opinion on wisdom teeth from an independent oral surgeon. They discover Dr. Rabinovich, one of the San Francisco Bay Area’s top oral surgeons for wisdom teeth removal. He not only has incredible skills but also works with each patient to determine the best course of action. After all, there isn’t one single best oral surgeon in San Francisco for wisdom teeth removal: each patient is unique, and Dr. Rabinovich will work with you to determine the best course of action. Quality of surgery is paramount, but many insurance carriers are accepted, and we can work with you to make wisdom teeth removal in San Francisco available at an affordable price. These poorly positioned impacted teeth can cause many problems. When they are partially erupted, the opening around the teeth allows bacteria to grow and will eventually cause an infection. The result: swelling, stiffness, pain, and illness. The pressure from the erupting wisdom teeth may move other teeth and disrupt the orthodontic or natural alignment of teeth. The most serious problem occurs when tumors or cysts form around the impacted wisdom teeth, resulting in the destruction of the jawbone and healthy teeth. Removal of the offending impacted teeth usually resolves these problems. Early wisdom teeth removal in our San Francisco office is recommended to avoid future problems and to decrease the surgical risk involved with the procedure. With an oral examination and x-rays of the mouth, Dr. Rabinovich can evaluate the position of the wisdom teeth and predict if there are present or may be future problems. Studies have shown that early evaluation and treatment result in a superior outcome for the patient. Patients are generally first evaluated in the mid-teenage years by their dentist, orthodontist or by a board certified oral and maxillofacial surgeon such as Dr. Rabinovich. All outpatient surgery is performed in our state-of-the-art surgery center under appropriate anesthesia to maximize patient comfort. 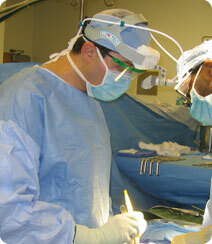 Dr. Rabinovich has the training, license, and experience to provide various types of anesthesia. In most cases, the removal of wisdom teeth is performed under local anesthesia, laughing gas (nitrous oxide/oxygen analgesia) or general anesthesia in our San Francisco office. These options, as well as the surgical risks (i.e., sensory nerve damage, sinus complications), will be discussed with you before the procedure is performed. Once the teeth are removed, the gum is sutured. To help control bleeding, bite down on the gauze placed in your mouth. You will rest under our supervision in the office until you are ready to be taken home. Upon discharge, your postoperative kit will include postoperative instructions, a prescription for pain medication, antibiotics, and a follow-up appointment in one week for suture removal. If you have any questions, please do not hesitate to call Oral Surgery San Francisco today at (415) 817-9991, or email us at info@doctorrabinovich.com.